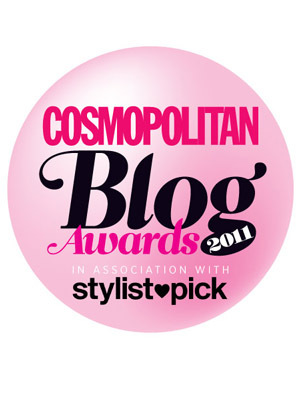 Startled but delighted to discover that the Miss Thrifty Blog has been shortlisted for a Cosmopolitan Blog Award! I am stupidly grateful to the readers who nominated me: thank you thank you! AgeUK Charity Chic Challenge – for one year, Clare is buying all her clothes exclusively from AgeUK charity shops. Bigguysmalldogblog – photographs of big men and little pooches. Body of a Geek Goddess – one woman’s adventures in sci-fi. House With No Name – a writer’s diary of life, teenagers, books and France. Intermezzo – an opera blog! Judging Covers – book reviews by book-loving women, for book-loving women. The London Ladybird’s Blog – post-university life in West London. Rust and Gold Dust – a celebration of the best things in life. 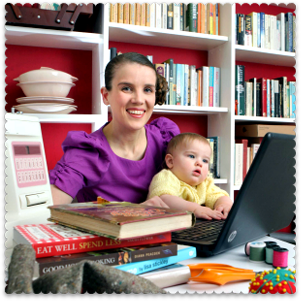 Squeezed of Shoreditch – Squeezed lives in Shoreditch with her 18-month-old son Emilio and her dog, Wilkie. th’ink – tattoo inspiration for women. …Then enter your email address and press the Continue button to open up the voting form. The closing date for votes is 30 September 2011. Thank you – and whoopee! WOW! Now that’s superb, congrats on the recognition you are worth the award.. Thank you thank you for posting a link to my blog in your update!! That is really considerate of you! 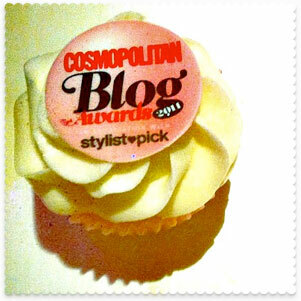 Am loving your blog!! Good luck in the awards!! Hoping you win! !